Get the money saving benefits of swath control and variable rate population control in one package. 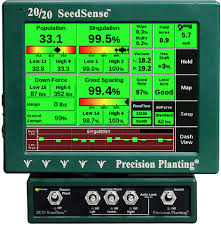 Now, use the power of your 20/20 SeedSense to control your air or electric clutches. Simple hardware upgrades make it easy and MUCH less expensive to add perscription control. 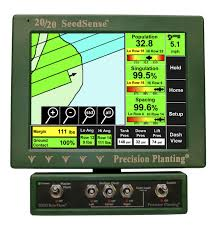 And the intuitive SeedSense display provides improved control over your swath control system. We have all been frustrated by expensive unlock fees and extra hardware. RowFlow allows you to run swath control or variable rate populations or both with the same hardware package. And you can always add VR or swath to your existing RowFlow system without any additional software expense. We have also developed simple mapping tools that let you create prescription files with a couple of mouse clicks. RowFlow and SeedSense eliminate the need for a GreenStar or Ag Leader Insight monitor – which can save customers thousands of dollars.